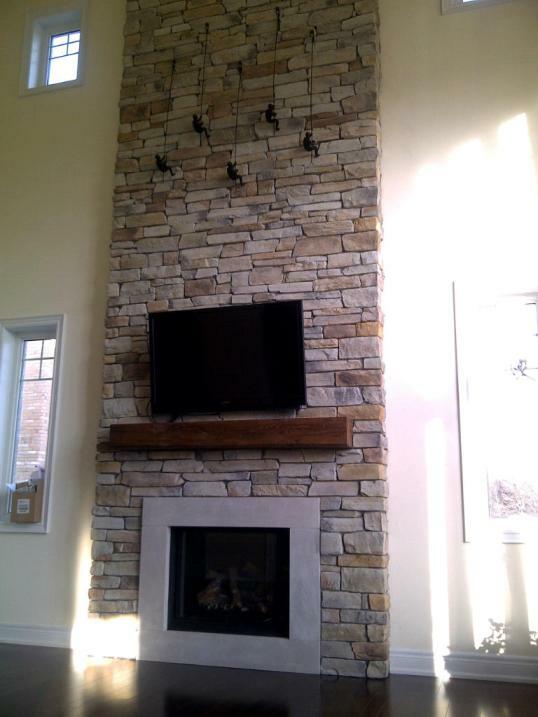 Rebarn Russet Barn Beam Mantel On Vaulted Stone Wall! This is a russet brown, hemlock mantel we made recently for a couple in Woodbridge. 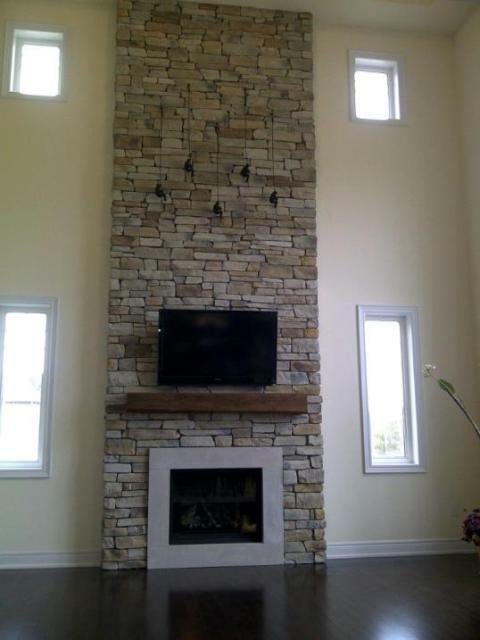 The color works great with the stone they chose, and the fireplace looks amazing. 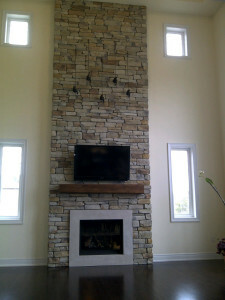 Rebarn.ca made the mantel and supplied instructions for easy step-by-step installation.